(the Arlington Side, of course!). 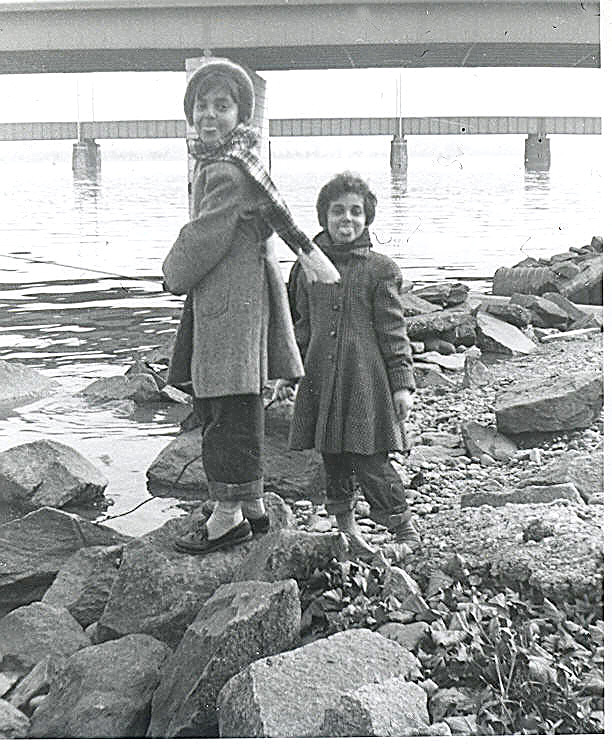 on the banks of the muddy Potomac. Sweet kids that we were, we are sticking our tongues out at the photographer.